I awoke to the sound of bells... lots of bells. Clanging and Clinking - distant at first, then growing gradually louder. I dozed in bed for a while, realizing that they were probably cowbells. Eventually I thought that maybe they might make for some good B-roll footage, so I got up and fiddled about for my DSLR gear, then looked out the various windows of the rifugio to see if I could spot them. 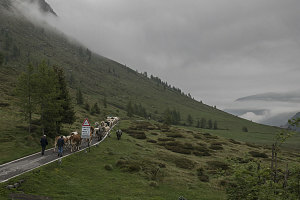 Turns out that a couple of farmers were herding a whole herd of cattle right along the SP294 - right in front of the rifugio and right past the M2, making for a super cool shot. I rushed over to the window best positioned to see the scene and just barely got the last of the cows trundling by. 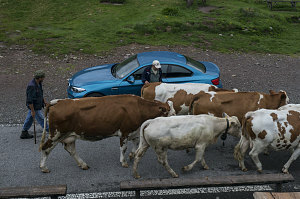 The head farmer had nicely positioned himself between the car and the cows, gently guiding them away - aww... he cared! After the cows has dwindled away into the distance, I went back upstairs to rouse Luke, and to start getting ready for the day. We came down to receive our simple but hearty continental breakfast. 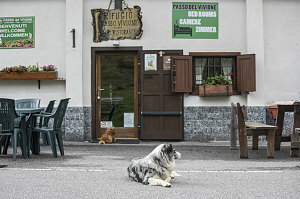 Outside, the two "hut" dogs casually stood guard in the very center of the road running past the rifugio. Clearly this road does not get a lot of high-speed traffic (or much vehicular traffic in general). 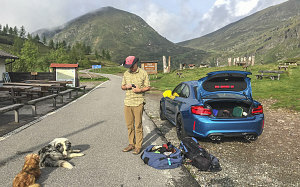 After cleaning out our stuff and paying up (about 65 euros each for everything, which is pretty damn good for what we received), we headed outside to re-organize the car and to take a short walk out from the pass. I wanted a few atmospheric aerial shots, and this was the perfect place for such a thing. 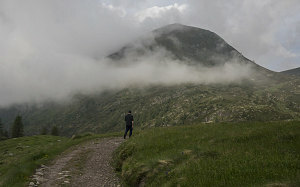 Walking back to the hut, we said a final goodbye to the custodians and the hut doggies and continued on our way, heading west and south down the narrow SP294. 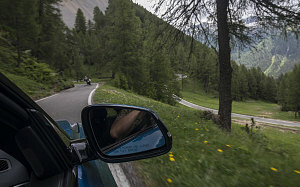 Our general itinerary for the day was to make our way across the mid-level forested mountains of the Italian pre-alps, choosing the most interesting-looking routes I could find on my twisty road map. 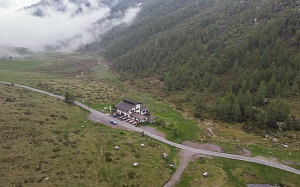 Once the day drew on, I'd look for a suitable rifugio to stay for the night, and call ahead (I had started to realize that in early June, most accommodations were not at all fully booked and we could easily risk last-minute reservations - which gave us more flexibility). Partway down our descent of the SP294 (which is mighty twisty but a little too narrow for truly spirited driving), we decided to stop for some more complex aerial-follow footage. 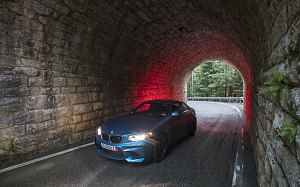 I came to understand during this session just how tricky it is to plan and track a moving car from the air, especially when said car is following a narrow twisty road with complex and steep terrain everywhere. 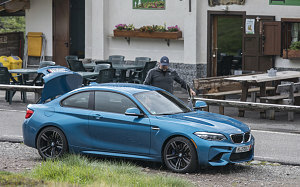 We must have spent an hour or two attempting tracking shots, and in the end I got some semi decent stuff - but not the sequence I had in my mind's eye. Down, down, down to the main valley floor we descended, then across said valley, then back up and across another mid-level (roughly 6000' ASL) pass in another pre-alp range. Again the road was extremely twisty but rather narrow in places. 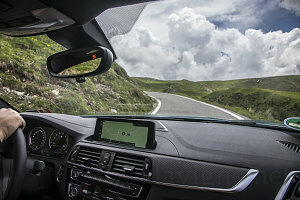 At least across the top the road was in the open alpine, giving generally good sightlines around corners. 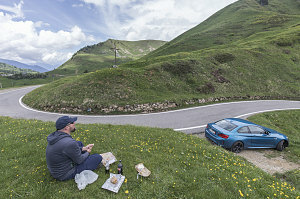 We stopped at the height of land here (called the Passo Crocedomini) for a grassy roadside picnic lunch. 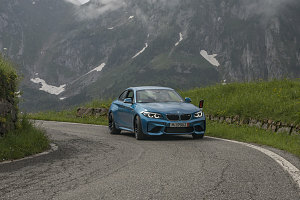 After lunch, we continued on - again descending down more excellent forested twisties to a broad valley coming down from the higher alps (essentially we were running across the north-south valleys coming down from the backbone of the alps). 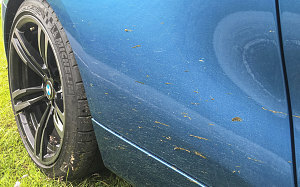 We stopped at another do-it-yourself spray wash place to get the splattered manure off of the car. 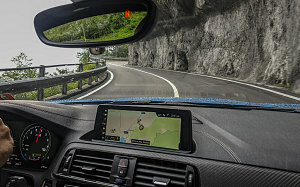 Continuing east, we took another road into yet another range of forested mountains. 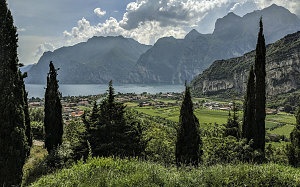 On the other side of these mountains was one of the largest valleys coming down from the north - and the one that contained Italy's largest lake - Lake Garda. 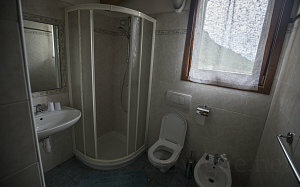 Lake Garda and environs is a place my friends and I have visited many times over the years. 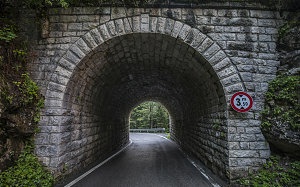 Today, though, Luke and I were just passing through, enjoying the surrounding roads and snapping a picture or two of the lovely scenery. 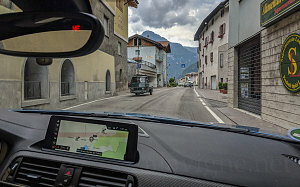 Eastwards we continued from Lake Garda - continuing to chart a roughly eastward-trending course that hit as many of the "good" locations I had marked on my precious twisty road map. 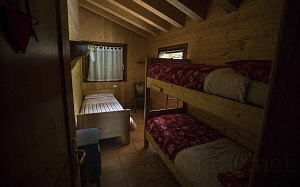 When daylight and time ran out, we'd stop and look for a place to stay for the night. 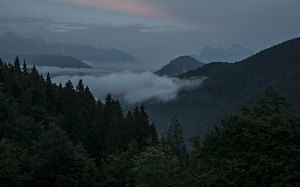 That spot happened to be a mostly-forested pass not far south of the high Dolomites, in far north-eastern Italy. 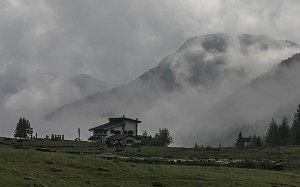 The Passo Brocon, it was called, and from the pass there was an ethereal and mysterious view of the jagged central dolomites, just barely visible through layers of mists and clouds. 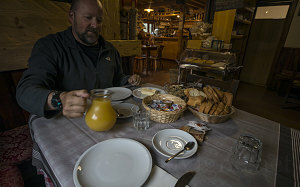 Leisurely and delicious breakfast at the rifugio before a little drone work in the valley close by. An excellent sleep, with a bit of listening to The Mechanic first. The bed was a bit firm, but my back was ok. A hot shower in the morning loosens things up nicely and I start the day ready for anything. After breakfast we walk out into the valley where it was time for a little messing around with the drone. It's an impressive little device with amazing autostabilization. Sheepdogs! Working a huge herd of sheep right on the side of the road, keeping them safe! Almost lost my sunglasses through the side window while Andrew was tossing it around (they were on top of my head). 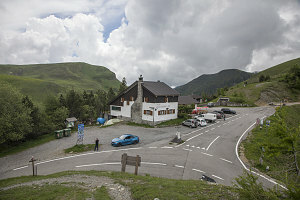 There were a couple of hotel-ish looking places here at the Passo Brocon. 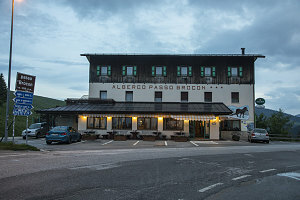 Not really the rifugios we were looking for, but eh... it was getting late and the location was convenient, so we checked one of them out, monotonously named the "Albergo Passo Brocon". Even though the place looked dead, it was open, and their price was reasonable, all things considered. 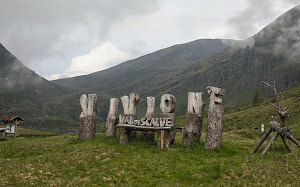 So we stayed here for the night. It felt a bit like an empty museum, though, with large empty hallways and a rather institutional feel. I do believe that we were - once again - perhaps the only (maybe there might have been one other room occupied) in the entire place. Certainly we were alone at dinner. 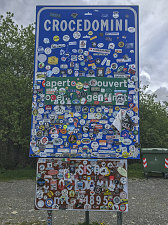 We seemed to be travelling around in a sort of dead zone, here in the beginning of June - just after the opening of the season for these places of lodging but before the tourist traffic of the summer started to pour in. 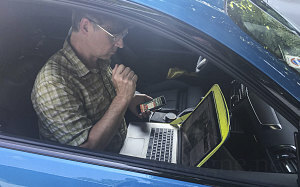 Actually, it suited me quite fine - I much preferred the feeling of spacious, quiet calm. And of not having to worry if a place was booked up.